Dubai—with its big lights and fast cars—is sure to sweep you off your feet. If you fall in love, you won’t be the first. Indeed, from indoor skydiving to world-class malls, you don’t have to leave the city to have a fabulous time. But there’s so much more to see. 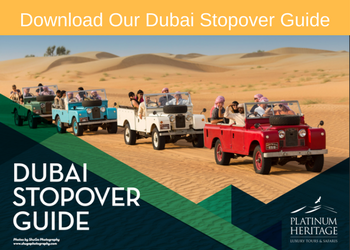 Take a trip to the Dubai Desert Conservation Reserve (Dubai Desert Conservation Reserve). 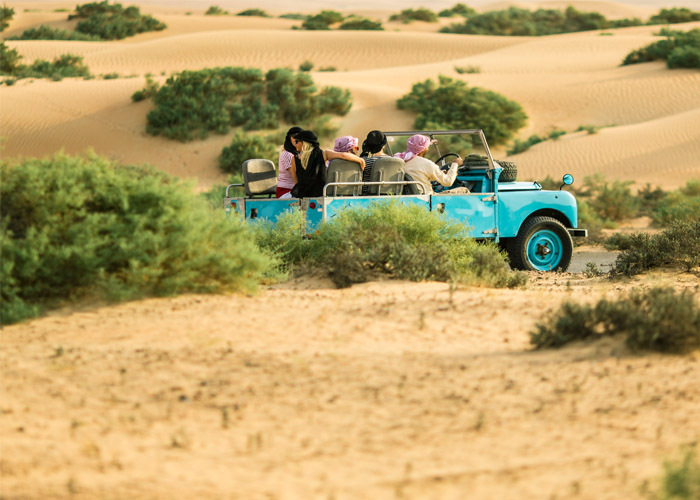 You’ll quickly discover Dubai is home to a gorgeous desert teeming with life. If you love plants, this is the place to be in Dubai. The Dubai Desert Conservation Reserve is full of ancient trees, like the date palm, which, in addition to having delightfully sweet fruit, was traditionally used to build houses and forts. The leaves, once dried and made into barasti, are a great material for roofing and fencing. Christ’s thorn, an evergreen thorny tree, is known for its incredibly useful wood, which can help make everything from fires to furniture. Its leaves and bark have been known to cure stomach disorders as well. The Athle Tree, with its many branches and scale-like leaves, usually catches the attention of visitors with its unique, artistic look. What’s cool is that these trees are salt, frost, heat, and drought tolerant. Talk about tough. The Dubai Desert Conservation Reserve is also home a variety of other trees, including the Ghaf Tree and the Samur Tree. The Arabian Gum Tree is one worth looking out for if you’re on a camel trek or wildlife drive. It has traditionally been used to treat a variety of diseases, including diabetes (with seeds soaked in milk or water), joint pain (with poultice of leaves), and colds (smoke from burning pods). Known for their resilience and practical uses, desert shrubs don’t take a backseat to any plants in the Dubai Desert Conservation Reserve. Most visitors take notice right away—because shrubs here are just that intriguing. • Arta: This plant deserves respect because it’s used to slow wind around precious desert plantations. • Rimth: The Bedouin used rimth roots for firewood. Stems boiled in water can treat low blood sugar. • Al Ara: A perennial soft-wooded bush, this plant is known for making its home in tough spots, like sandy roadsides and rocky areas. The wooly flowers and seed heads have been used to make cushions for camel saddles. • Desert Hyacinth: Technically a parasite herb, the Desert Hyacinth showcases beautiful flowers. Its stems, when boiled, were used to treat diarrhea back in the day. • Toothbrush tree: As the name suggests, this evergreen shrub’s twigs and roots can be chewed to clean teeth. Come and take a bite. The Dubai Desert Conservation Reserve isn’t short on helpful herbs—no matter what the situation. If a scorpion stings you (let’s hope not), you can use the sap from the unripe fruit of the Desert Squash to relieve the pain. Or, if you’re experiencing intermittent fevers, the leaves of Sodom’s Apple can help. Of course, there are lots of herbs that are noteworthy for their aesthetics alone. So have your camera ready. The Egyptian Seablite, with its shiny green color and white pointed petals, will attract your attention. The Turba, a small herb, gets lots of looks because of its large and pretty petals. And the Arabian Primrose delights the eyes with its grey-green leaves and numerous small yellow flowers. No guide to native plants in the Dubai Desert Conservation Reserve would be complete without talking about Dune Grass. Usually surrounding by thick sand, Dune Grass has a distinguishable pale brown color, and its ability to thrive in dunes and even disturbed areas makes it quite admirable. Additionally, when visiting the Dubai Desert Conservation Reserve, you should stay on the lookout for Incense Grass. Like you would think, you can extract aromatic oils from this grass. Another grass that may catch your eye is Turgid Panic Grass. This grass has grains which used to be roasted for food during times of drought. No matter how you enjoy the Arabian desert, take some time to enjoy the beauty of the flora here. Also, do learn about the various ways the Bedouin used these plants in ancient times, and how people still rely on them today. As you can see, when you come to Dubai, life literally awaits outside the city in the Dubai Desert Conservation Reserve. 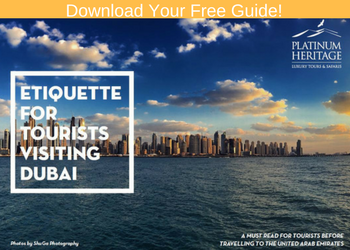 For more information on the various flora and fauna to be found in Dubai, check out our Conservation Guide.